Our Super Soft Merino Bundles include seven skeins of this incredibly cozy yarn, each palette a spectrum of beautiful color! 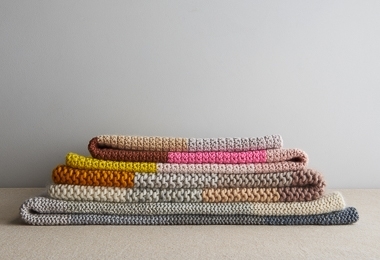 Use a Bundle for our Super Easy Crib Blanket, our Stripey Tube Scarf, or whatever else you dream up. 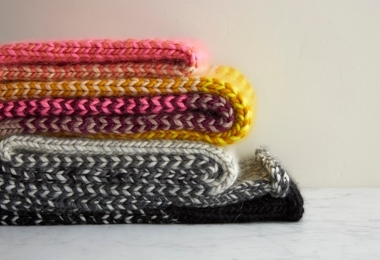 The Blanket is a garter stitch rectangle in seven simple stripes, and the Scarf plays with a series of alternating stripes. 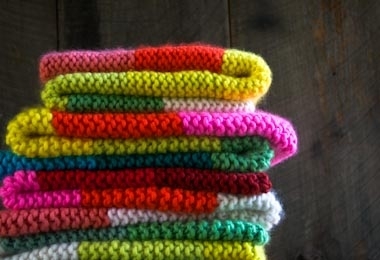 Both are super fun knits where color plays the starring role! For more information about both free patterns, click Product Details, above.